Mary Jo, known for her avid support and leadership in arts education, is Co-Founder and first president of the Jazz Education Network (JEN - read her letter of support for the Bitter Jester Music Festival). JEN is now in all states and twenty-two countries! She is the Founder/Artistic Director for Jazz Fests for school bands in New Orleans and Puerto Vallarta. Serving public school education for over thirty-five years, she recently retired as Fine Arts Director for Skokie D219-recognized as one of the finest HS Fine Arts program in the nation; she served eight years as Fine and Applied Arts Chair at Highland Park High School and coordinated FOCUS ON THE ARTS festival with hundreds of volunteers. While the district Fine Arts Coordinator of thirty-five schools in the Peoria Public School System #150 (’92-’01), she founded and directed the Peoria Jazz All Stars whose performances included Montreux, North Sea, and Umbria Jazz Festivals, IMEA Conference, American School Board Association Conference and many other state and local events. Prior to her administrative position, Mary Jo was an award winning band director at Peoria’s Woodruff High School (‘82-’92). Before leaving Peoria in 2001, she founded a District Preparatory Arts School at Peoria High School. Her early years of teaching were in rural Iowa, Ottumwa and Moulton-Udell K-12 public schools. Her leadership/honor positions in addition to JEN include: Founder of the Puerto Vallarta Jazz Festival via HP Sister Cities Foundation, serving on the Artistic Access to Excellence Panel for the National Endowment for the Arts and as a member of the Quincy Jones Consortium, Chicago Jazz Philharmonic Advisory Board, IAJE, past Illinois Music Educators Association Vice-President, and Highland Park Cultural Arts Commission, HP Public Art Committee, and many other arts organizations. MJ currently serves on the selection committee for the NARAS Grammy Music Educator of the Year award. Mary Jo’s recent honors include receiving a Lifetime Jazz Education Achievement Award from DownBeat magazine, the Arts Inspiration Award from The Art Center, Superintendent’s Recognition Award, Character Counts Award, Huespid Distinguido from the Mayor in Puerto Vallarta and the Prestigious Women in Jazz Award from the Chicago Jazz Ensemble. Former awards include: PPS Superintendent's Award, and YWCA Leader in the Arts Award. HPHS Patrons of the Arts annually award a Highland Park High School student the M.J. Papich Leadership Scholarship. JEN has honored her with giving the Mary Jo Papich Women In Jazz Scholarship to deserving students at their annual conference. The national band sorority, Tau Beta Sigma, presented her with the Outstanding Service to Music Education award recently for her accommplishments. Mary Jo, a graduate of Truman State (MO) and Bradley University (IL) was raised in south central Iowa; graduating from Albia (IA) Community High School, where she was inducted in to the Hall of Fame. Her many presentations include: National Association for Music Education National Conference, many State MEA conferences, Midwest Clinic, IAJE Conferences, Siena Jazz Foundation (Italy), South African Jazz Conference (2008/2010) at the University of Cape Town, Brubeck Institute. 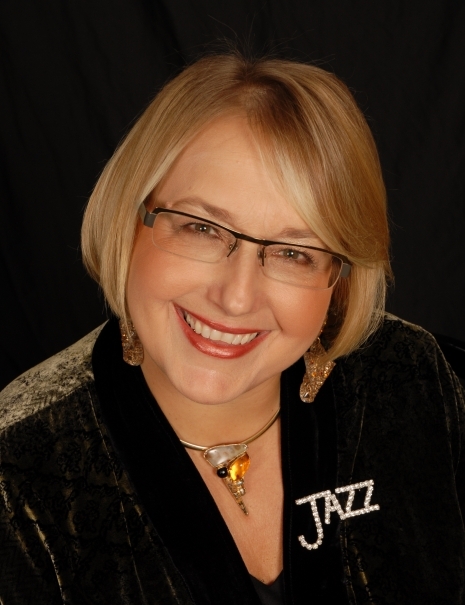 Her professional affiliations include IMEA, NAfME/MENC, ASCD, Illinois Arts in Education Alliance, International Women in Jazz, National Association of Professional Women and International Society for Music Education. Papich's vision is that all children will know and appreciate the arts, especially their musical heritage of jazz.